Well this is not good. Beloved Star Trek actor, and general awesome dude, Leonard Nimoy was hospitalized late last week with severe chest pains. Sources in law enforcement told TMZ that the 83-year-old actor was rushed to UCLA Medical Center last Thursday after his symptoms prompted a 911 call. The paramedics didn’t waste any time dawdling around and got Nimoy to a doctor as quickly as they could. Nimoy is, of course, most known for playing the pointy-eared, coldly logical Mr. Spock on the original Star Trek, which ran from 1966 to 1969, as well as in various movies that followed. He’s even appeared in both of the most recent film, with the jiggled about timeline and everything. We also have a special place for him in our hearts because of his role as inventor William Bell on Fringe, and who can forget his epic record, “The Ballad of Bilbo Baggins”? 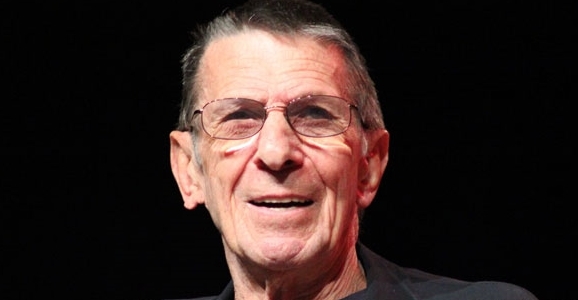 Over the past several months, Nimoy has been in and out of the hospital a number of times, and in 2014, he revealed that he suffers from chronic obstructive pulmonary disease (COPD, that’s the one with the commercials where there’s an elephant sitting on people’s chests, and which sounds terrible). Though he kicked the habit more than three decades ago, Nimoy says his condition is likely the result of his many years as a smoker. That’s really all the news that there is to share right now. It’s even unclear if he’s still there or has been released. While there have been attempts to contact Nimoy’s representatives, there has been no official word on his condition, but rest assured, as soon as there is anything else to report, we’ll let you know. Get well soon, Mr. Nimoy. No! He must live! He must prosper! He needs to co-vocal an album with Christopher Lee and his metal band ‘Charlemagne’. Get well soon Leo!